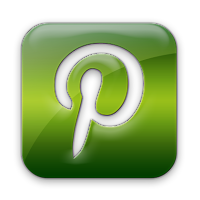 I have found another great way to get vanilla extract in a very short time! Making vanilla extract is so simple, so easy, and will cost you much less than buying pure vanilla extract. Gifting a bottle of your homemade vanilla extract is sure to impress your family and friends. Vanilla extract uses vanilla beans, liquor, and time. Making vanilla extract with the traditional cold extraction can take 8 weeks to 4 months to fully extract, shaking the bottle weekly. Adding heat and/or pressure to your extract shortens the processing time and forgoes the weekly shaking of your extract. You can add a fourth element, heat, and shorten the processing time to have your vanilla extract ready to use in two to three weeks. Heating vodka for making vanilla extract was introduced by Cook's Illustrated in 2009. Fat/Oil + spice + liquor + heat = more flavor in a shorter time. Their results mention a "cleaner, more intense vanilla flavor" when heating vodka for making vanilla extract. When you think of putting a tea bag in hot water vs room temperature water, you can see that the tea in hot water would steep more quickly, which makes a lot of sense! One quick method is using your Instant Pot, with pressure, adds a fifth element of pressure, that speeds up the extraction process. If you don't want to use your pressure setting to make vanilla extract, here are two more methods to try, which will allow you to make a smaller batch of vanilla, use a variety of liquors and vanilla beans. 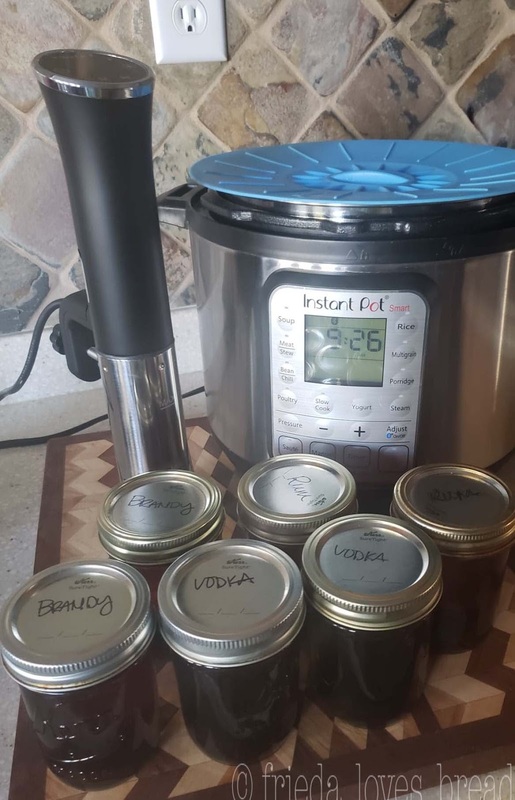 An Instant Pot cooker or immersion circulator on a low setting gently warms your ingredients, pulling out the essential vanilla oils that are suspended in the liquor, brings out color and flavor to your extract. This takes a little bit longer than the pressure cooked vanilla extract, but still speeds up the process and gives you a head start. You can watch a short video here. I did quite a bit of research to find out what temperature and time would work with this method. I discovered that Sous Vide (French for "under vacuum"), using an immersion circulator, is common for making alcohol infusions & syrups for cocktail recipes. 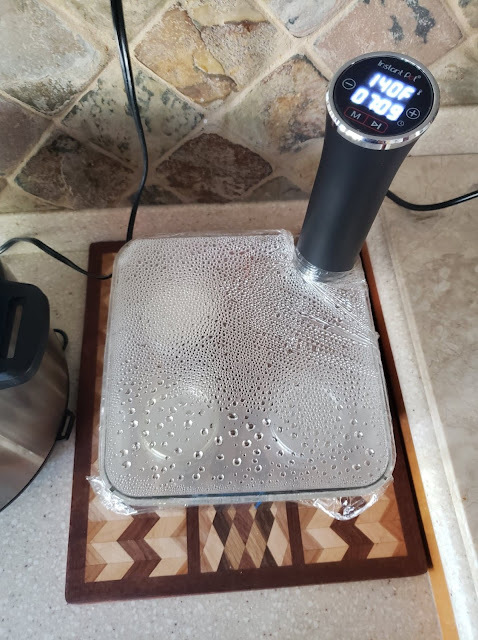 Sous Vide does a couple of things, according to this article. True flavors are amplified and you achieve maximum yield (little to no alcohol loss). Using an immersion circulator is very easy to set up and use. (See my unboxing video here) You can use any food safe container or get this handy container with a lid that is perfect for sous vide. Sources give 140°F - 155°F as a starting point for infusing dried spices, cinnamon bark and other ingredients. I chose 140°F as my temperature. At the four hour mark, the extract was fairly light. At the 8 hour mark, it was much darker. The color of your extract can depend on the variety and quality of your vanilla bean, and how many beans you use. Do not process your extract more than 24 hours, and keep checking to make sure the water levels don't drop below the extract line. I used Cook's Illustrated's recommendation of 1 vanilla bean for 3/4 cup vodka. My vanilla beans were about 8" long. If your beans are shorter, you may want to add more. You can add as many vanilla beans as you want, essentially making a double strength (or fold) or higher vanilla extract. Double fold vanilla extract will cost more per ounce, but allows you to use less in your recipes. There are several varieties of vanilla beans, each with their own flavor profile. I used Madagascar vanilla beans, which give a creamy, traditional vanilla flavor. Check out this helpful article about how to choose vanilla beans and find the best price. Neutral liquor, such as vodka, is preferred, to allow the full essence of vanilla to shine, but you can also experiment with other liquors. Clear rum, brandy, whisky are some to try. 80 proof is recommended. 100 proof is not necessary and can make your extract smell too strongly of alcohol. 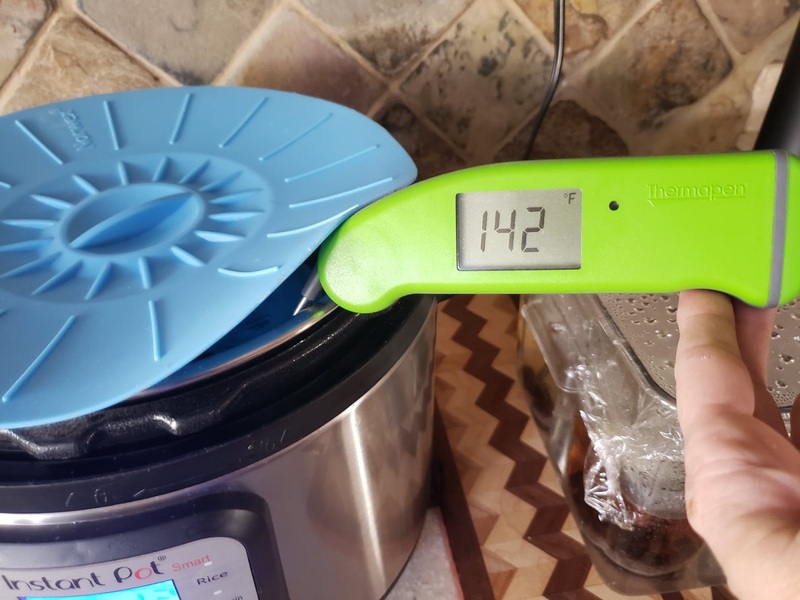 You can customize the temperature on the Instant Pot Ultra and set it in the 140°F-155°F range. If you have any of the other Instant Pot pressure cookers, (Duo, Lux, etc) use the Keep Warm setting, which is about 145°F. After checking the other settings (yogurt & slow cook), the Keep Warm setting was the best option. I put 8 cups of water in my Instant Pot, pushed the Keep Warm button, it displayed 10:00 (10 hours) and the temp registered 142°-143°F. The Instant Pot Ultra time can be set for 24-99 hours. They look dark and glorious! They should be ready in two weeks. I'm excited! I can't wait to get some pretty bottles and labels for my vanilla extract to give as gifts for Christmas! 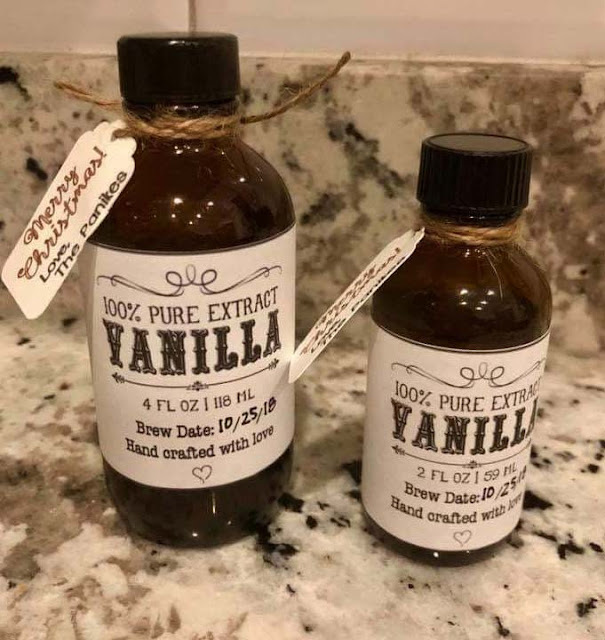 To get some ideas of how some of my readers have bottled and made pretty labels for their homemade extract, check out this gallery here. Making vanilla extract is so easy and simple, using this method. Do NOT use the stove top or slow cooker (crock pot) for this recipe. 1. Inspect your canning jars for any cracks or chips. Clean jars well with hot, soapy water or run them through the dishwasher. Set jars in your sink or heat safe container and pour boiling water over the jars. Pour out water before using. 2. Split your vanilla beans. Starting about 1/2" from the top, insert a sharp knife through the middle through the top layer only, working your way down the bean all the way to the end. Use the dull edge of the knife to scrape out the vanilla caviar and seeds and put them into your jar. 3. Using kitchen scissors (or your knife), cut the vanilla bean into 1" pieces, letting them fall into the clean jar. 4. Pour your choice of liquor into your jar, filling it up to the first, bottom thread, leaving a 1/2" headspace between the top of the jar and the top of the liquid. 5. Place a canning lid on top, and secure the canning ring finger-tip tight. This means turning the lid until you feel resistance and stop there. Do not tighten any further. Screwing on your lids too tight will cause the jars to break. Instant Pot: Place the trivet/wire rack into the inner pot. Put your prepared jars of vanilla extract on top of the trivet. Pour enough water to the level of your extract, but not above the jars. Push the Keep Warm Button once. The button will light up and 10:00 will show on the display, for a 10 hour time. 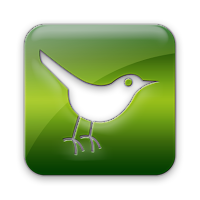 You can quickly push the (+) button to add more time. Put a lid, dinner plate, pie plate or Instant Pot lid with vent closed. 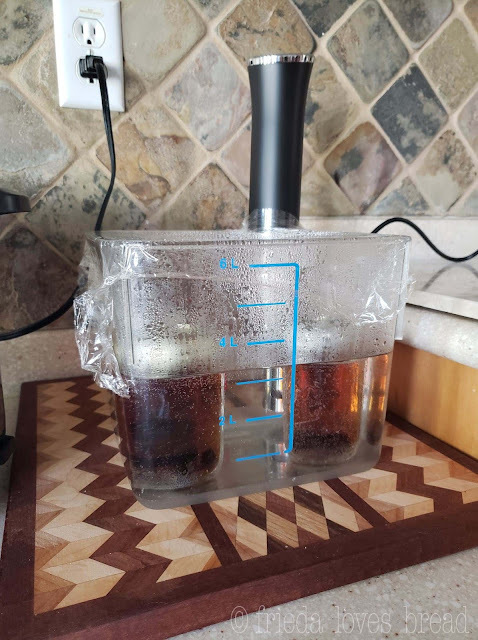 Attach your immersion circulator to your 6 quart food safe container, set on a wood cutting board to protect your countertop. Add the prepared jars of vanilla extract to the container. Fill the container with water, up to the level of your extract, but not above the jars. Select 140°F as your temperature, and 8-24 hours as your time. Process your vanilla extract for 8-24 hours. 7. When the cook time has finished, you can remove your jars using a canning jar lifter -OR- simply let the water and jars come to room temperature. After removing the jars from the water, screw the rings on tightly. 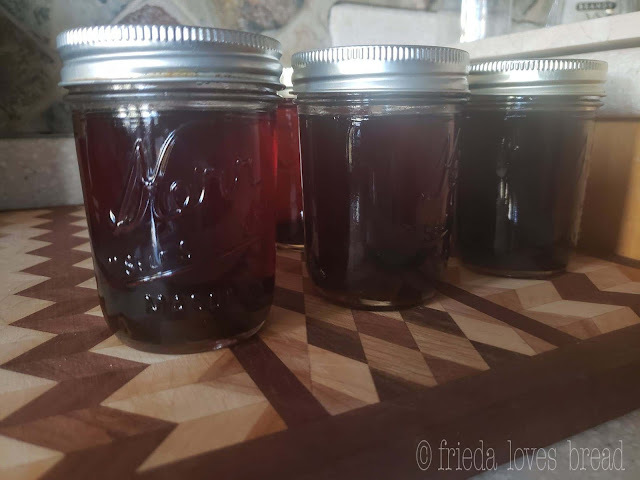 You can keep your extract in your canning jars, or pour them into prepared bottles for gift giving. Store your extract in a cool, dark cupboard. It will have an indefinite shelf life. Do not freezer or put in the refrigerator. Keep your vanilla beans in the jar or bottle. They will continue to extract, mellow and deepen in flavor. When your extract is almost gone, top it off with vodka and let it extract naturally, or heat it again using the No Pressure or Sous Vide method. If your extract seems weak, add a fresh, 1" piece of vanilla bean. Extract will be ready to use in 2-3 weeks.